Rivapan SECU is a complete system developed to combine high security with a stylish design. This system is ideally suitable for places where security and aesthetics go hand in hand. Rivapan SECU is developed for all applications where total security is essential: power plants, military sites, oil fields, warehouses. 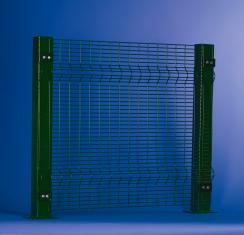 Rivapan SECU panels are made of heavy, high security welded mesh. 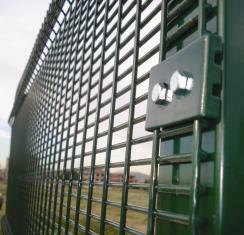 For maximum security the mesh aperture is 12,7×76,2mm.